Huawei Y9 (2019) TENAA Listing Reveals Images - Playfuldroid! In August, Huawei Y9 (2019) name along with its model number JKM-TL00 was spotted on the website of Eurasian Economic Commission (EEC). Now the same model number and JKM-AL00 which seems to be a variant of the same phone has appeared on TENAA, the regulatory body from China. The TENAA listings of both models are yet to be populated with their specifications. However, the images that have surfaced through their TENAA listings have confirmed the design of both phones. 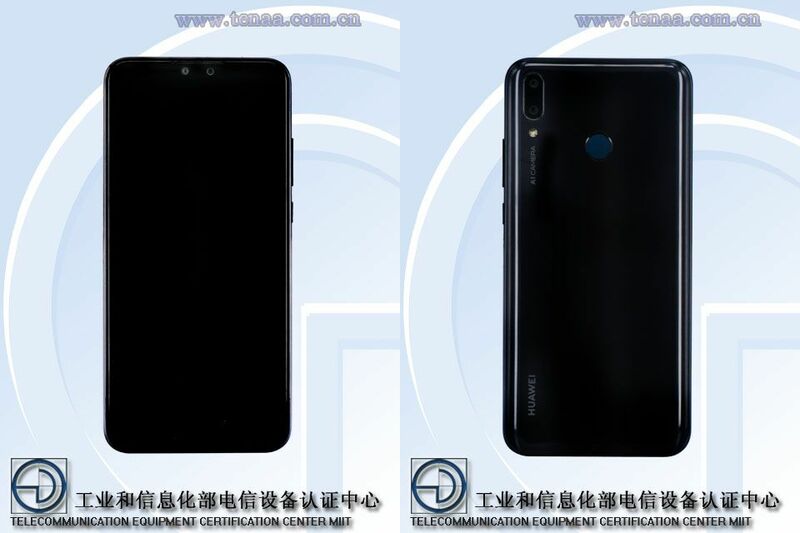 The TENAA images of the Huawei Y9 (2019) reveals that it has a notched screen. A dual camera setup is present in the notch of the phone. The back panel of the phone features vertical dual camera setup. The handset is equipped with a rear-mounted fingerprint reader. In related news, a variant of the Huawei Y9 (2019) that has a model number of JKM-LX3 has surfaced on the website of Federal Communications Commission (FCC) in the U.S. The FCC listing has revealed that the handset features Bluetooth 4.2, 3.5mm audio jack, microSD card slot through hybrid SIM compartment and 4,000mAh battery. The handset also carries support for major cellular service providers from China. As of this writing, there is no information available on the launch date of Huawei Y9 (2019). However, now that the handset has bagged necessary certifications include 3C approval in China, its arrival may not be far away.